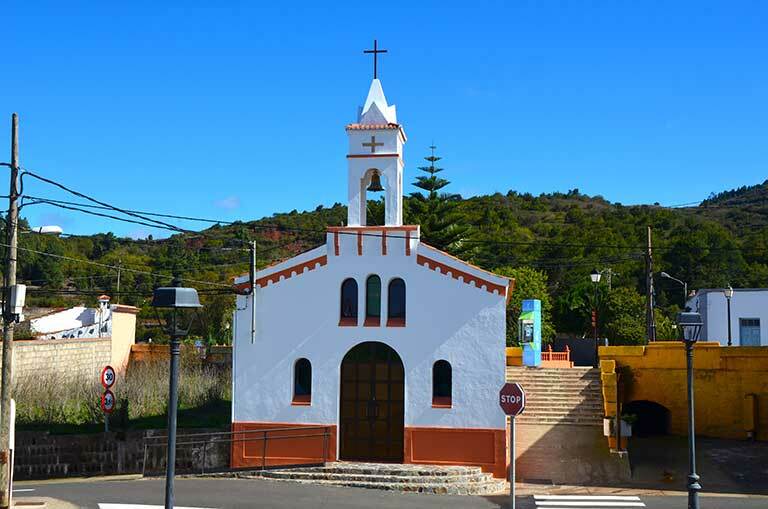 This trip follows a route through two municipalities in the north of Tenerife, Los Silos and El Tanque, visiting the middle and upper slopes, paying particular attention to those places of historic, natural and scenic interest. You will visit different small towns marked by their history and the natural environment where they are located. Los Silos and El Tanque are two municipal areas of great natural contrasts, with lush pine and evergreen forests, rocky shores and steep ridges furrowed by deep ravines. 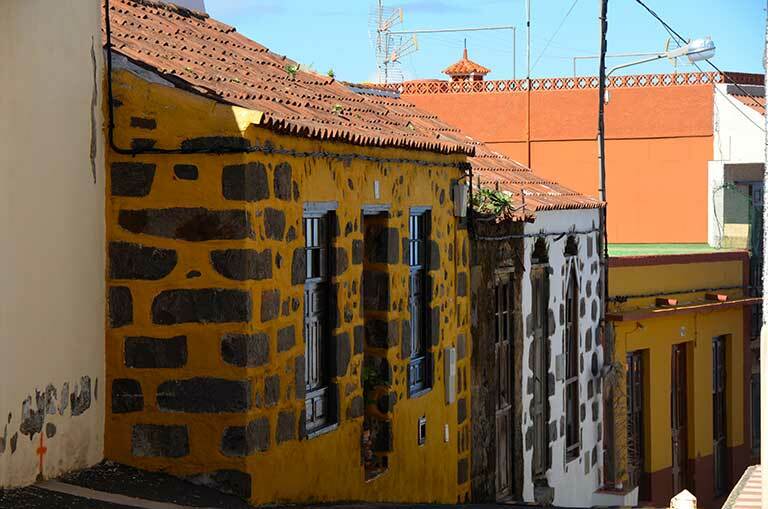 On this trip you will discover ancient towns that have managed to preserve all the charm of yesteryear, with cobblestone streets and old buildings that are veritable gems of Tenerife's architectural and artistic heritage. You will also visit their middle slopes, and get to see small hamlets and villages hidden in sheltered spots among the mountains. From their origins as settlements in the immediate aftermath of the conquest by the Castilians, but not forgetting their aboriginal past as territories belonging to the kingdom of Daute, these locations were marked by agriculture, both for export (much of their land at that time being devoted first to sugar cane and vineyards, then to bananas), as well as for domestic consumption and the local market, with wheat, barley and rye. The names of the village of Los Silos or Tierra de Trigo ("Land of Wheat") reflect the influence of agriculture in the area. The term "silos" literally refers to silos for storing grain that existed in the town, particularly on the country estate of Gonzalo Yanes. These villages also suffered volcanic events that were responsible for conforming a landscape of lava and badlands, where the dark colour of the lava mingles with the green of the pine forest, and which were to mark in part the future of both settlements. The historical town centre of Los Silos offers numerous examples of the historical, artistic and cultural heritage of Tenerife. The origins of this settlement are to be found in the sixteenth century, after the conquest of the Island. 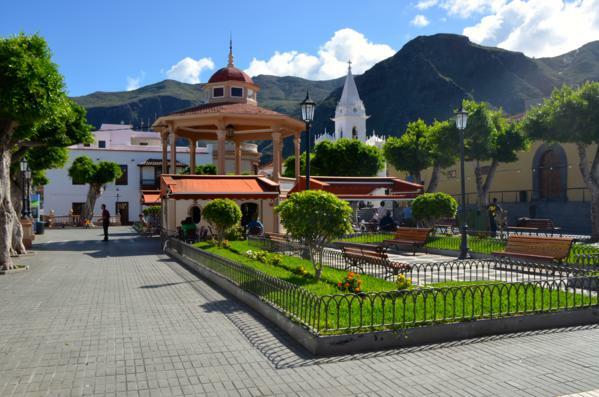 The first buildings were arranged around the church of Nuestra Señora de la Luz, located in the plaza of the same name. Around this point the first homes were built, the alhóndiga**, no longer in existence, the convent and the rectory. The entrance to the village is via a cobbled street, which has become one of its most characteristic features. Right nearby is the town centre of Los Silos. A walk through its streets lets you discover the daily life of the local inhabitants, see much of its historical legacy and enjoy the beauty of this picturesque village known as Isla Baja [the Lower Island]. During the visit it is worthwhile focusing your attention on the many examples of civil and religious architecture. 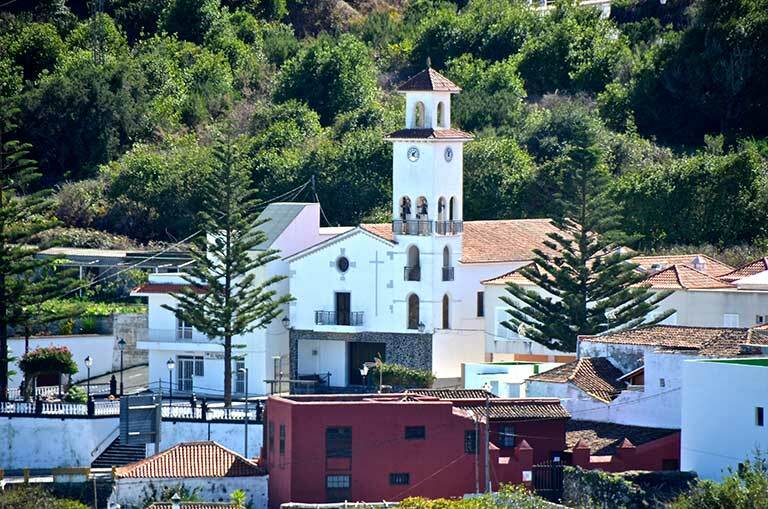 One outstanding example is the church of Nuestra Señora de la Luz, built in the second half of the XVIth century thanks to the tenacity of the town's residents and elevated to the status of a parish church in the early part of the following century, also as a result of popular initiative. Over the centuries the church has been subject to numerous extensions and alterations. 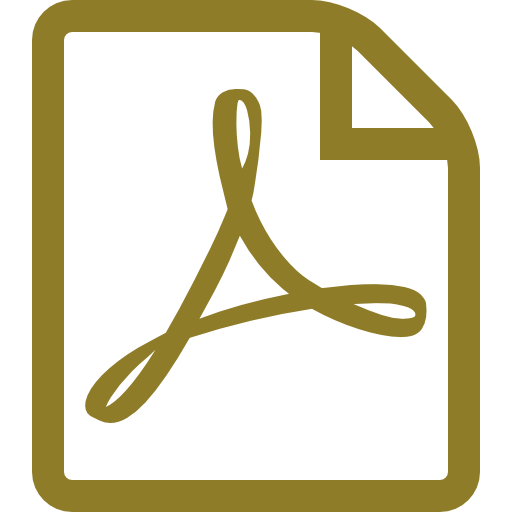 It houses pieces crafted in precious metals, sculptures and paintings of incalculable artistic value such as the Processional Cross (XVIth C) and the Imperial Crown (XVIIth C), which the Madonna bears on solemn occasions. Another of the buildings to be visited is the former convent of San Sebastián, founded in 1649 by Captain Sebastián Pérez Espinosa and his wife, Luisa Francisca Montañez. After being restored in the late XXth century, the building is devoted to different services. Nowadays it houses the town's Public Library and the Enrique Pérez exhibition room, used for screenings, presentations, exhibitions, etc., and the hall occupied by the Los Silos Visitor Centre. Another architectural highlight is the Casa de Los Trujillos (XVIIth C), at present housing the Local Council offices, located in the Plaza de la Luz. 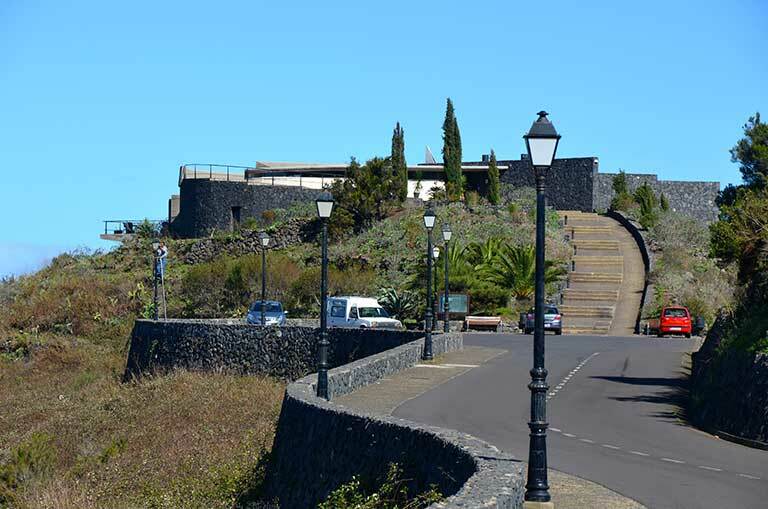 On this stop you can also see the Los Silos Visitor Centre, belonging to the Cabildo of Tenerife network of Museums and Public Centres. The centre contains an exhibition on the historical and natural heritage of the town of Los Silos and also aims to be a key element in offering access to the town's cultural and tourist attractions. **alhóndiga: a food store (mainly for grain) to supply a population in times of poor harvest. As its name implies, agriculture has played a major role in the life of this community. Located in the middle slopes at roughly 500 meters above sea level and surrounded by mountains, this tiny village retains all the charm of the world of the peasant farmer in the north of the Island. Cereals and other crops such as vines have traditionally been the economic livelihood of the population. Evidence of this is the existence of several wineries, all of which come under the aegis of the Ycoden-Daute-Isora Designation of Origin. It exhibits some examples of ordinary people's dwellings, with houses located near the cultivated plots, being mainly build of stone, wood and tiles. 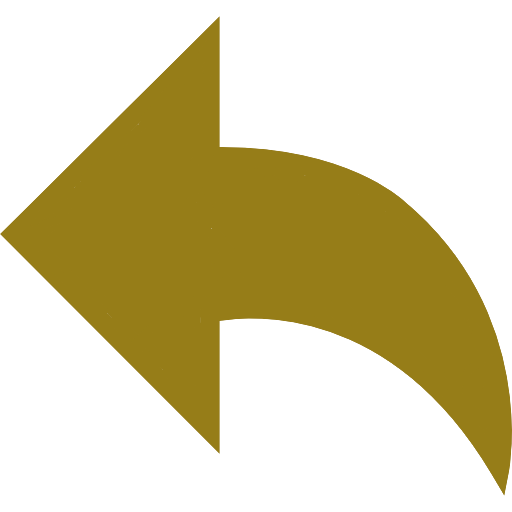 Tierra de Trigo is reached by a winding road with narrow bends, so cautious driving is a must. However, the journey has superb views of Los Silos, of Buenavista del Norte and of the village itself, which appears, almost by surprise, against the backdrop of the mountains. 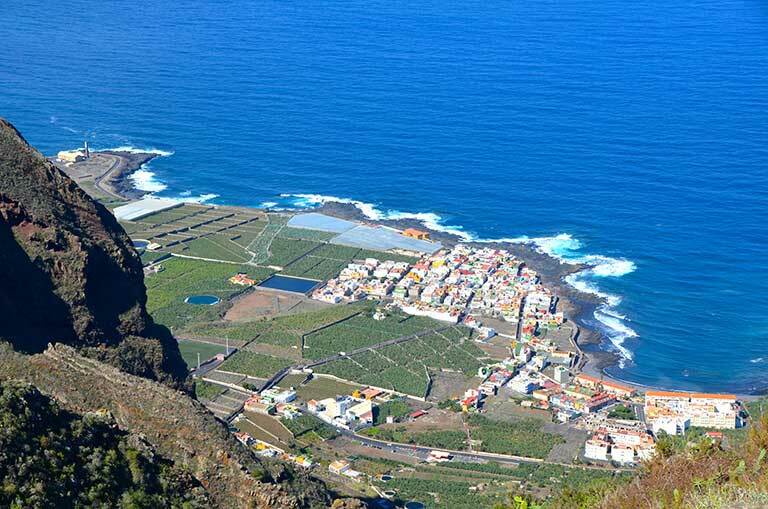 This viewpoint, belonging to the Island Network of Viewpoints and recently reopened, offers breathtaking views of this area of northern Tenerife. Its privileged location gives it of some of the best views over the north of the Island. 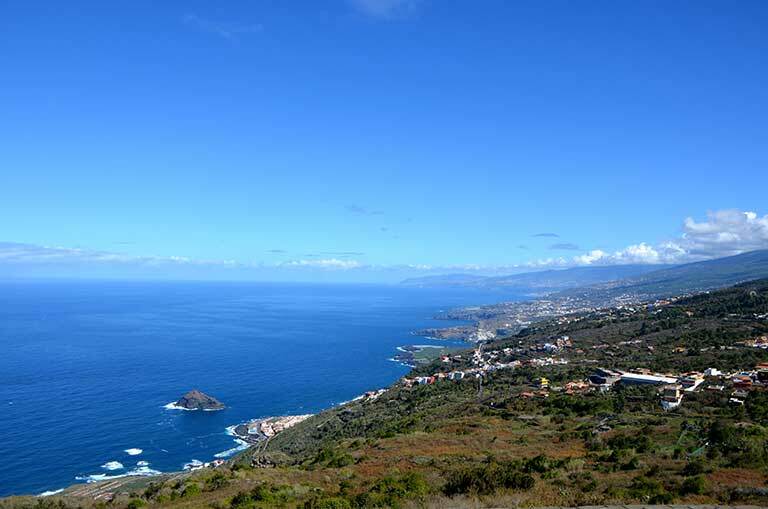 Seeing the sea and the beauty of the villages of northern Tenerife from here is an unforgettable experience. Furthermore, the viewpoint has a restaurant, cafe, souvenir shop and a car park. 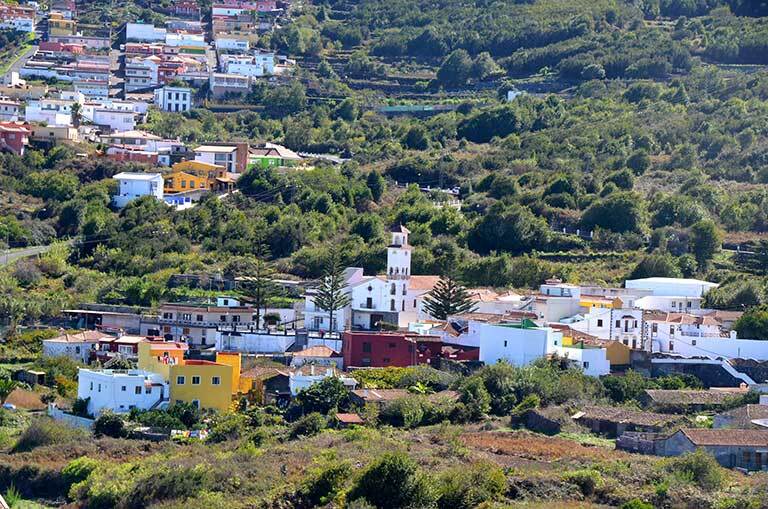 The village of El Tanque is located on the upper slopes of the north of Tenerife. 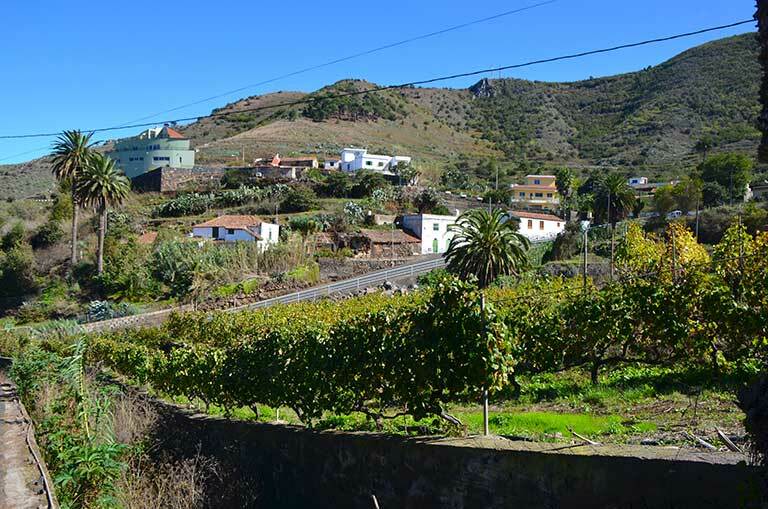 During the visit you will get to know a town markedly agricultural in nature, where some parts of the small-farming tradition still survive in northern Tenerife with cultivated plots and traditional buildings. A feature of its urban landscape, where the church and the present town hall stand out, is the alternating mixture of buildings and farmland. The visit is also an inviting opportunity to learn about the rich cuisine of the area, where you can taste some of the most typical dishes of Canarian food such as the puchero [stew]. 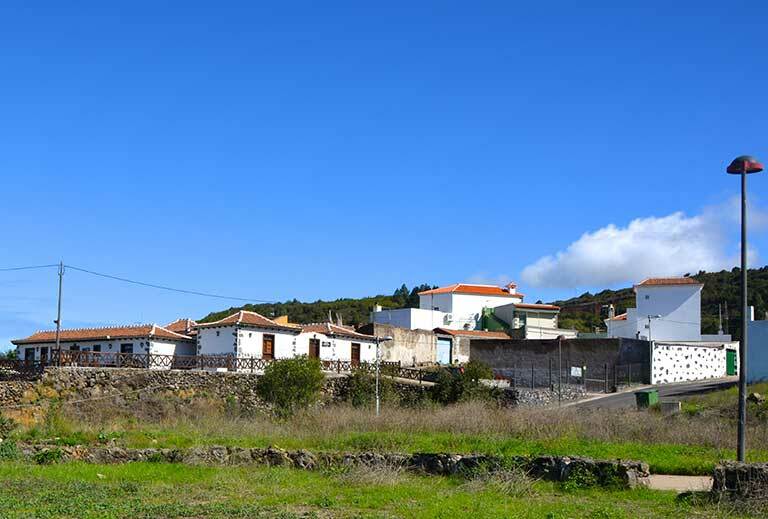 In the upper region of Los Silos and El Tanque stands the village of Erjos. 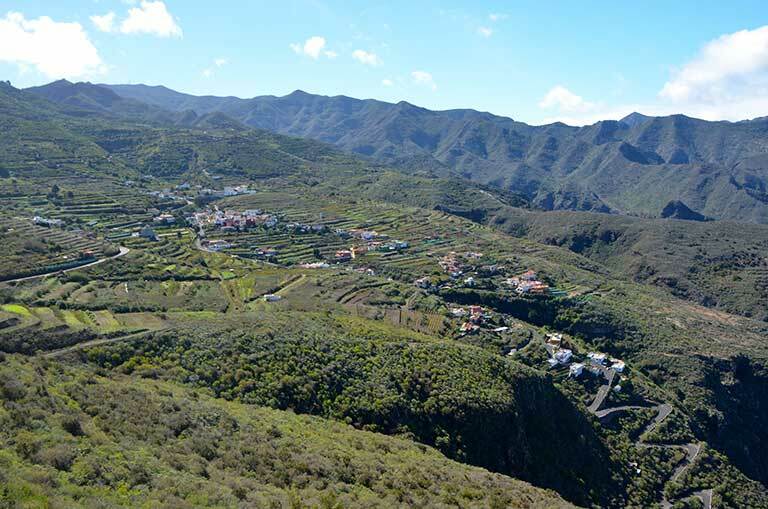 Nestling in a singular natural environment, visitors discover not only part of the very essence of these rural landscapes of northern Tenerife, but the beauty of the natural surroundings where it is situated. Its past, traditionally agricultural, remains alive today in cultivated plots and farmland. 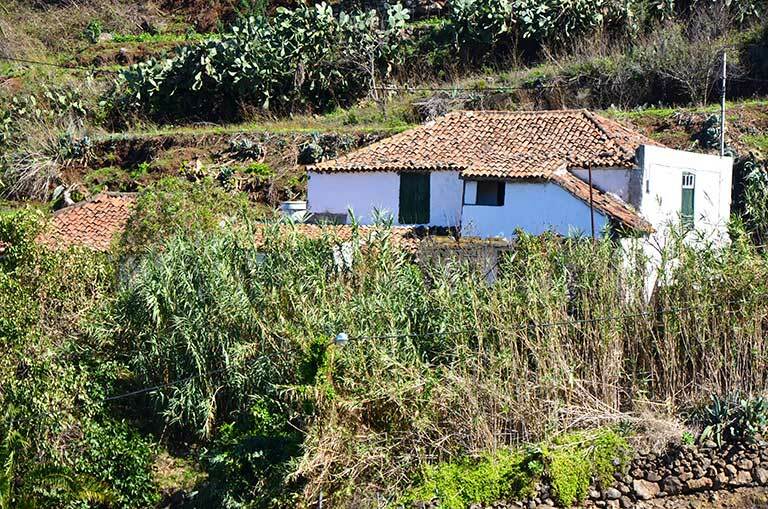 Although the current trend is towards the decline of agriculture in favour of other activities and despite rural depopulation and emigration, in Erjos there still exist many examples of the farming way of life. The village has traditional houses, some very old, some of more recent construction. 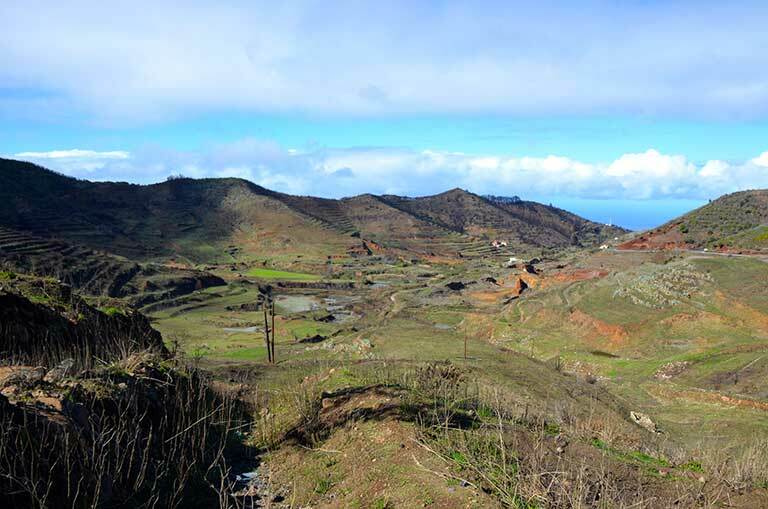 Also, another major attraction of Erjos is the richness of its surrounding landscapes. Besides the beautiful rural scene that the village represents, in the upper part there are what are known as the "Erjos ponds”. 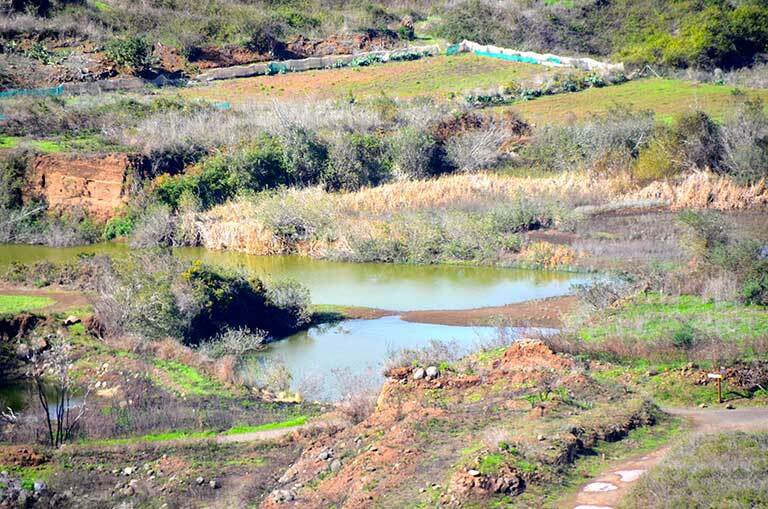 The ponds were formed as a result of gravel and earth being extracted from the area during the last decades of the XXth century and intended for plantations in the south of the Island. 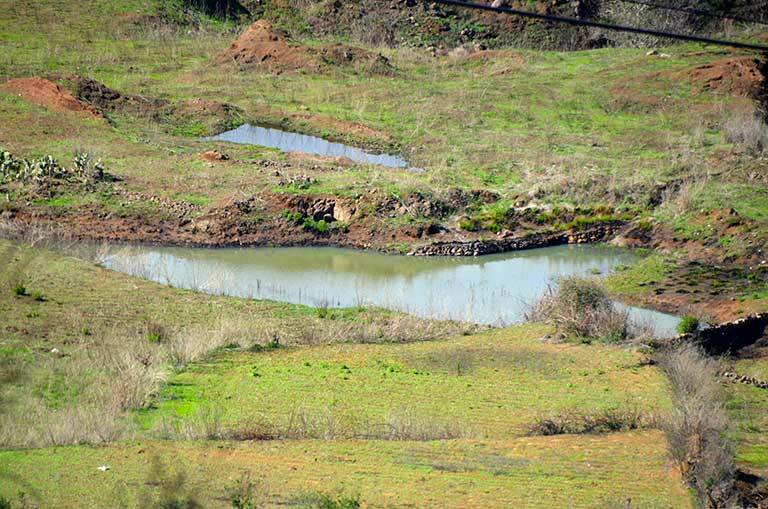 The resulting pits have become filled with rainwater due to the clayey nature of the soil and allowed the creation of an entire original ecosystem around them.